Dan Biggar contributed 17 points on his home debut for Northampton Saints as they completed a 25-18 win over Harlequins in the second round of the Gallagher Premiership at Franklin's Gardens on Friday. Despite the defeat Harlequins are at the top of the table after managing a losing bonus point while Northampton Saints open their account in the ongoing season. Northampton started the game well and went close twice in the opening minutes through Tom Collins and Piers Francis but both the attacks were thwarted by Marcus Smith, who also kicked a penalty goal in the eighth minute to get Harlequins off the mark. 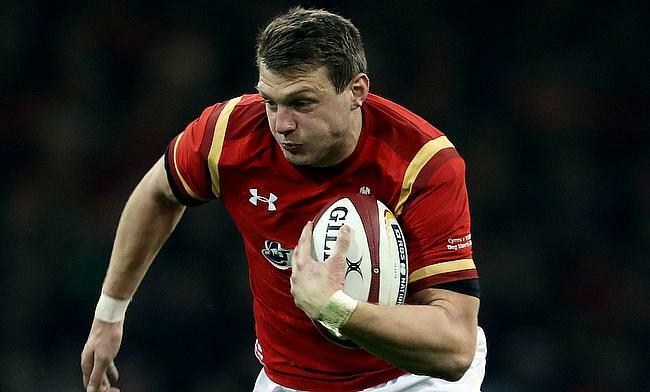 Continuous pressure from the home side resulted in Dan Biggar kicking a penalty of his own at the end of the first quarter to level the scores 3-3. As the half-time was approaching, Biggar kicked two more penalty kicks as the home side had a lead of 9-3 heading into the break. Biggar further stretched the Northampton's lead to nine points with an early penalty in the second half before Harlequins finally managed to arrest the slide through a 52nd try from Danny Care and Smith's conversion reduced the trail to two points. However, Care's efforts were negated when Northampton skipper Dylan Hartley touched down four minutes later and Biggar's conversion restore nine point lead for the hosts that remained intact when both the fly-halves traded penalty kicks in the next few minutes. As the final 10 minutes kicked-off, James Lang dived from close range to provide some hope for the visitors but Harry Mallinder with his 77th minute penalty kick completed a 25-18 win for Northampton Saints at home.